A chef and bartender in 19th century Richmond, he was a fixture of sophisticated gatherings and a connoisseur of the era’s delicacies (terrapin stew, canvasback duck, “hail-storm” mint juleps). Remarkably, he spent the first 41 years of his life enslaved — yet he was able to save enough from tips to buy the freedom of his wife and infant son when they were threatened to be sold away. Refreshments and display will follow at the Middlesex Museum Visitor Center at 777 General Puller Highway in Saluda. Refreshments by African-American Caterers: Rere’s Home Cooking, Scott’s Catering, and Susie’s Heart and Soul. Post-screening display will include African-American cookbooks and photographs of local African-American culinary figures. 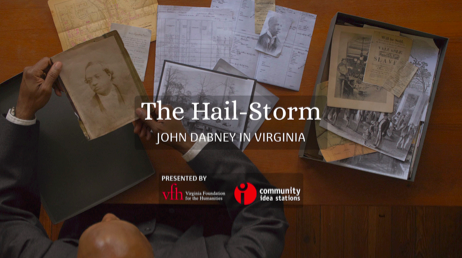 Film Produced by Hannah Ayers and Lance Warren of Field Studio, Richmond and funded by Virginia Foundation for the Humanities and WCVE. Middlesex County Museum & Historical Society, Inc. Call 804-758-5163 by March 6 to submit pictures of chefs, caterers, or other culinary figures.